This is a pie shield. Many times when you bake a pie the directions tell you to use a foil ring for part of the baking time. Sometimes the crust can get too dark before the pie is fully baked. Covering the outer edges of the crust will help prevent this. Depending on the type of crust you make and if you use an egg or milk wash.
Pie crusts made with shortening normally do not darken at all, unless they have been brushed with an egg wash or milk to add color. So, when making a plain shortening crust you probably can skip using the foil ring. If you make a crust with butter or any dairy products, the crust will darken so having a foil ring can be necessary. Also, use one when you have brushed the top of the crust with egg wash or milk. You can make a foil ring by taking a long strip of foil and shaping it into a ring that will cover the outer edges of the pie. Another easier solution is cutting a hole on the bottom of a disposable foil pie plate. Another even easier thing to do, is to buy a pie shield. They are a good idea if you bake a lot of pie. 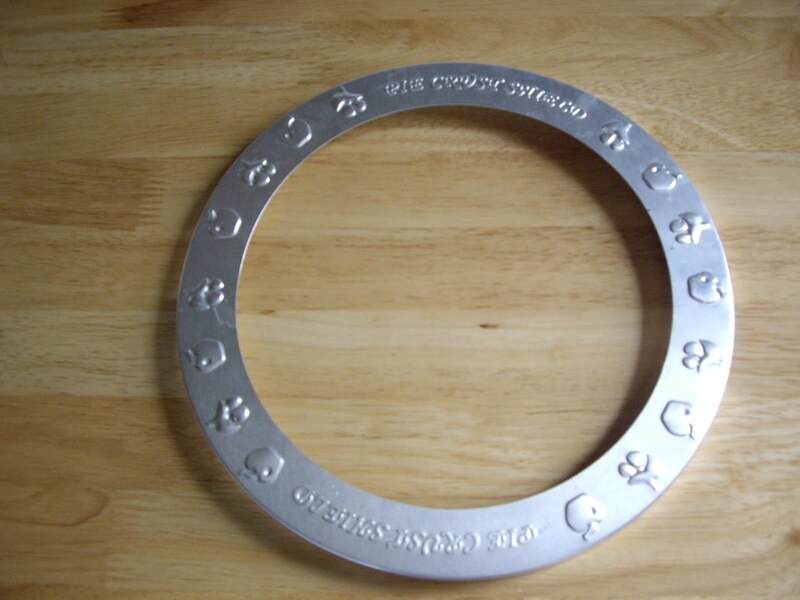 It is just a ring of metal you lay over the pie. You can get one of these for about $5 or so.